Where there is love and inspiration, I don’t think you can go wrong. Hello and welcome! My name is Simone and I’m addicted to sharing! Sharing recipes, shopping tips, relationship and parenting advice, product reviews, a joke, an opinion and just about everything in between. Well maybe not everything. I do not like to share my Haagen Daz Dulce De Leche. So everything except that. And since I seem to find something to share with just about everyone who says hello (and some that don’t! ), I figured this parenting and lifestyle blog would be the perfect outlet to satisfy my sharing addiction. In between sharing, I run a marketing and event planning company, TRUE, where my love of details and straight lines are put to good use. But my most important job is being a wife to a radio exec and mother to a precocious little girl who, as she puts it, is a piece of work. She doesn’t eat sweets (yep, no cake, candy, ice cream, nada) and people are always asking me how I managed to pull that off. I share my thoughts on parenting with vision along with the usual stuff that comes with balancing a husband, a kid and a career. Let’s see…I enjoy cooking, mainly because I really enjoy eating. So I hope that my fellow foodies enjoy the recipes that I share. I love parties—especially kids’ parties. Just the mention of the word “party” make my eyes light up and my voice get really loud(er). I am one of those crazies that go way overboard for my daughter’s birthday party every year. On a budget, of course. I share my tips on how to get crafty, decorate with a dollar, and plan a party that looks like you spent a million—ok, well maybe a thousand bucks. Oh, and I get light-headed over a great bargain. I am the self-proclaimed queen of buying designer (and everything in between) at a discount. This is going to kill my mother—but I share my secrets about how I do it. I also share images of places, people and things that I think are simply beautiful. I have not/will not/do not want to try/have/be/do everything in these images. They are meant to purely serve as INSPIRATION. Ya know, like the stuff I would make/do/buy if I had all the money buy it, all the time to do it, and the kid/husband that wouldn’t ruin it. If that’s not enough, you can learn even more about me here and read my official bio below. That said, visit, socialize, and most importantly, be inspired! And since we’re friends now and you know all about me, tell me something about you? Simone Jones Tyner provides domestic and parenting solutions that inspire women to elevate everyday living. As a lifestyle and mom maven, Simone enjoys nothing more than finding creative ways to combine her love of food, fashion and family. She has always had a passion for entertaining and views food as a catalyst to bring people together. With twenty years experience, Simone has parlayed her passion for entertaining and creating into a successful marketing and event planning company, TRUE. Throughout her career, she has worked with numerous high profile celebrities including Jay Z, Sean “P Diddy” Combs, Mary J. Blige, Iyanla Vanzant , Steve Harvey and Wendy Williams. Before launching her company, she held management positions at Clear Channel Radio and MTV Networks and received her B.A. in communications from Temple University. Simone is a visionary with an ardent ability for breathing life into ordinary ideas with extraordinary results. Whether she is perfecting a new cupcake recipe, planning a wedding or crafting a marketing strategy, she uses her distinctive creative lens to turn the average into amazingly awesome. Behind the scenes, Simone is an architect. Her authoritative yet accessible style enables her to implement a well-designed logistical blueprint, ensuring seamless event production for her clients. With a big heart and a personality to match, Simone aims to inspire others to live with style, passion and purpose. She has a unique perspective on personal relationships and parenting and is often sought out for advice on marriage, dating, friendship and parenting. Simone has been featured on TheStir.com, Essence.com, Ebony.com, BlackAmericaWeb.com, WJLA-TV and NBC4 in Washington, DC. Hi, I just nominated you for the Sunshine blogger Award! 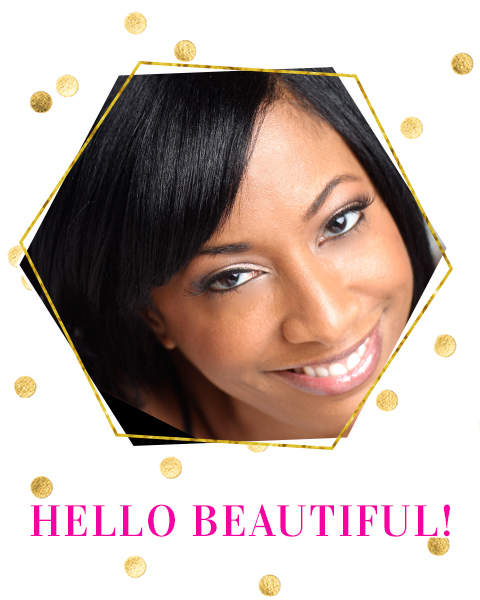 Simone,your blog is exciting and fabulous.I look forward to making my way through all the great things you have. Thanks for sharing and keep up the good work! Glad you like it. Thanks for stopping by! Simone I wanted you to know that I nominated you for the Versatile Blogger Award. Please go to my post on Simply Life blog to get the details. Keep up the good work.